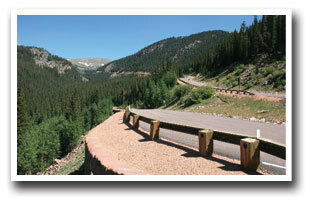 Surrounded by Pike National Forest, Bailey is just 45 miles southwest of Denver. This mountain hideaway is near all the amenities of Denver. 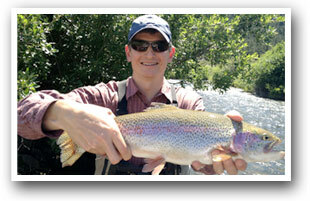 At an altitude of 7,750 feet, it is an excellent area for hunting and fishing. A herd of about 200 bighorn sheep live in the mountains around Bailey. Recently designated one of Colorado's most scenic and historic mountain passes the 23-mile Guanella Pass Scenic and Historic Byway is one of the premier places to view the turning of the aspen in Autumn. Maintained all year round, Guanella Pass ascends to an elevation of 11,669 feet, and is suitable for passenger vehicles, bike riding or hiking, though large RVs are not recommended on this mountain byway. In 1864 William L. Bailey settled in the area, 14 years before the railroad arrived. In 1873, former Governor John Evens organized the Denver, South Park and Pacific Railroad to tap the bountiful supply of timber in the Platte Canyon area. An extensive network of old logging roads and connecting trails in the area provides a diversity of mountain bike riding options. The small community of Shawnee west of Bailey is the site of an early stage stop on the Denver-Leadville Stage line during the 1860s. McGraw Memorial Park in Bailey is home to several historic structures and unusual artifacts. Built by William Bailey in 1864, the Entriken Cabin has been nominated for inclusion in the Colorado Register of Historic Buildings. Built in 1899 near the town of Shawnee, the Shawnee Schoolhouse moved to its present site in 1984. Lodging in the mountains along the river in Platte Canyon, Bailey, CO is on Highway 285, close to Denver. Comfortable two-room lodge-suites with fireplaces, WiFi, views, fishing. Heated swimming pool! Conifer is 20 minutes from Denver. 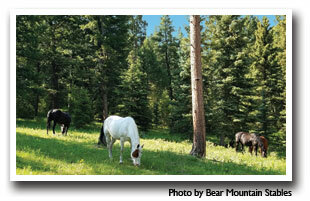 Bear Mountain Stables offers private guided horseback trail rides - 6 riders. Nestled in the mountains secluded pine and aspen forests, rock outcroppings. We love birthdays! Looking for an escape? RELAXATION awaits you at Lynwood Park, 50 minutes from Denver in Bailey. From a family reunion to a quite weekend for two, our vacation homes are along the South Platte River. New in 2018 23 tent sites added! Staunton has multi-use and hiker-only nature trails, rock-climb, fishing, mountain bike. picnicking. birds and wildlife at this 3,800 acre state park near Pine CO off Highway 285.